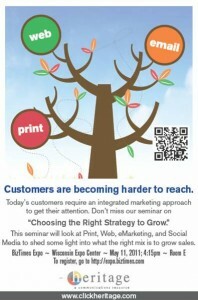 Heritage will be presenting a seminar “Choosing the right strategy to grow your business!” at the BizTimes Expo May 11th. Marketing choices are greater than ever and finding the right marketing mix is critical. 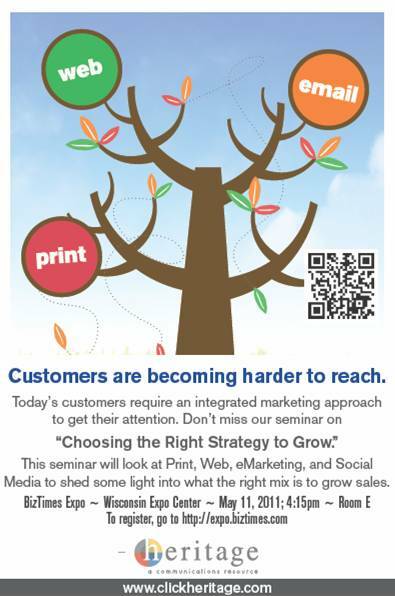 This seminar will look at Print, Web, eMarketing, and Social Media to shed some light into what the right mix is to grow the sales of both B2B and B2C companies. We will also share ideas on measuring marketing results to maximize ROI. You should not miss this seminar!